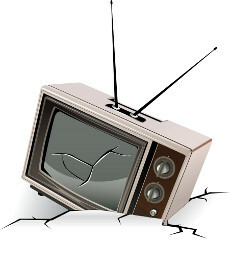 The Collapse of TV, Cable, Telephone and Satellite Services. There is a collapse coming. Not house sales, democrat ownership of Washington, financial, etc… but one of how you get your entertainment and communications. I am sure that for many of you that are tech savvy or know someone who is this isn’t going to be news to you. Others of you may be surprised because you simply haven’t thought about it or care. If you pay a cable TV, telephone, or cell phone bill you may have thought “Why do I have to buy two things that do the same thing?” Prior to the Internet the only way to broadcast a message out to the public you had to do it on radio or TV. Vast sums of money were required depending on the market share the radio or TV station had. Usually based on ratings by a company that I used to work for, Arbitron. More on Arbitron later. You could get a Amateur radio license and broadcast to people all over the world, but the FCC (Federal Communications Commission) made it very clear that you could not BROADCAST (two way conversations only) and you could not ADVERTISE a product or service. This was very nice for radio and TV wasn’t it? Also your audience was probably limited to 10 people world wide at the most! So not real threat to radio and TV. In 1995 when I, and the company I was working for CSC Credit Services, got ON the Internet, I was shocked at just how easy and cheaply it was for us to do so. I was the guy that did it for the company, so I had to learn about getting the ISP services (a single ISDN channel back then!). Registering a domain. Setting up DNS servers, and a web service so people could get to our site! I remember thinking that it was incredible that in a very short time and for $200 a month we, as a company, had access to a world wide audience. This is something you couldn’t do on radio or TV, even the television networks were just national. The Internet rapidly evolved into a huge communications tool. Instant messaging, music, e-mail, then video. Voice over IP (VoIP) mimicked our telephone service, but on a world scale. Long distance was going to be hard to charge vast sums of money for now! The biggest stumbling block was speed. Not so much from a technical stand point, but who had it. I recently upgraded my Internet service to 18Mb down 1.5Mb up. 10Mb was what we first had in our data center. That was the network speed between our servers! Now my home Internet access is 8Mb faster! AT&T Uverse is making use of the new technologies that allow high speed Internet to it’s customers. They use about 24Mb of Internet bandwidth to stream audio and video to a box that in turn connects to your TV. This is HD 1080i video with Dolby sound! It’s not just one stream, it’s four streams! The rest of the Internet bandwidth is available to me in the form of general Internet access. If you’ve watched Youtube videos, or watched a show from Hulu, or even your favorite show from one of the traditional network stations you may have thought, “Why am I paying for cable/satellite service?” Well as more and more people have high speed Internet service this question is going to be asked more and more. AT&T has done something quite clever as they have gone Internet for their service, but made it look like cable or satellite. Their telephone service is VoIP again Internet based. So the sell a bundle with voice, Internet and television which is REALLY all the same thing! As more and more companies emerge on the Internet with their content available on demand there will be fewer and fewer reasons to have any service other than Internet. To a lessor degree the Internet will effect cellular phone service. As Internet bandwidth increases there will be little need for traditional phone service. Many of you probably hardly ever use the “telephone” portion of your smart phone now. So the $40 you spend a month and the 500+ minutes for voice, well cell phone company, keep your voice service, keep your minutes and just give me the Internet for $30 a month. I’ll handle my own voice communications, thank you very much! Chances are good it will be better quality than the digitized low bandwidth crap they give us anyway! As promised, Arbiton. Wonderful company to work for, but their business model is based on the old technology. I’m sure they have great minds working on ideas so they can continue to take a sizable portion of a radio stations budget for their services. Currently they call people on the phone and try to convince them that they should fill out a booklet of what radio stations they listen to. So basically they have to get someone to answer a phone from a 1-800 number, stay on the phone long enough to get them to buy into doing something “for free” (ok maybe $1 to $5 enough for a cup of coffee OR a donut. Not AND, OMG NEVER AND!!!!) As of about two years ago Arbitron was rolling out their salvation to the dwindling numbers of people willing to fill out the booklets by paying people to wear a pager. You remember pagers right? If not just watch the 1980’s movie “Caddy Shack” and watch for Doctor Beeper, yeah that was the characters name. Beepers were the big thing prior to cell phones. What the Arbitron beeper does is keep track of what you’re watching on TV, or hearing on the radio and even advertisements in the stores you visit. If you saw the movie “Minority Report” you may recall the problem Tom Cruise had with his eyes. When people walked into a store your eyes were scanned so targeted advertisement could be played for you. Well Arbitron’s beeper listens to what is being played over the public address system in the store. So Arbitron as seen the writing on the wall (virtual wall in this case) and is trying to change their business model that doesn’t put as large an emphasis on traditional media, radio and television (they were really just radio anyway), and moving to a model that can make use of audio on any media. Personally I felt that the pager idea was a bad one and they should have gone with cell phone manufacturers. Have the technology embedded into the cell phone and if a customer agreed to the service a portion of their cell phone bill was picked up by Arbitron. Now with smart phones an app for iPhone or Android would be a no brainer. I believe the argument to these ideas are how “random” the sampling would be. Very important in the collection and dissemination of statistical information. One thing that bothered me about the wearing of a “pager” idea was the coolness (or the lack of cool) factor. Well, I’m not exactly sure what the larger implication of all this is, except that it continues our movement down the road to where can lose all our communications in one shot. Some years ago money issues forced me to go with the cable company’s phone service, but I regretted the loss of the old phone line which still worked if you lost power in the house. Honestly, I don’t want to be around when the day comes that everything is lost at once. I remember when the power grid went down on the east coast and people were having problems using their cell phones due to all the traffic. Just imagine the future when everything we have including our cars are controlled from the same place. Antenna TV is already gone. Imagine if radio becomes obsolete and we can’t even get information with a battery operated radio. Not good. I wish it would get here already! I agree and this is another reason we need a good power supply. With a good power supply things then truly become decentralized.